SAMAN Portable is a leading supplier of modular Container Hotel in India and overseas. Our exponential growth over the years is the result of the uncompromised dedication we have shown towards our customers. As an organization, we share our valuable commitment to our clients and our environment. Hence, we have embarked our journey adapting a sustainable and eco-friendly manufacturing process. Our container hotel offers a cost-effective and environmental-friendly alternative for traditional infrastructures. In return, you get a structure that replicates the features of a brick & mortar Hotel without any compromise in safety, amenities, durability, and outlook. The advancement of technology and the need for availing faster services significantly contributes to the rising demand for container hotel across the world. We at SAMAN Portable are among the rare organization who deals with supplying high-end prefab modular structures to major organizations in India and parts of overseas. Although various factors come into play while choosing a hotel, the primary reason for a customer is always about a decent place to stay. Our pre-engineered container hotel resembles the same aesthetics and features of a traditional hotel. 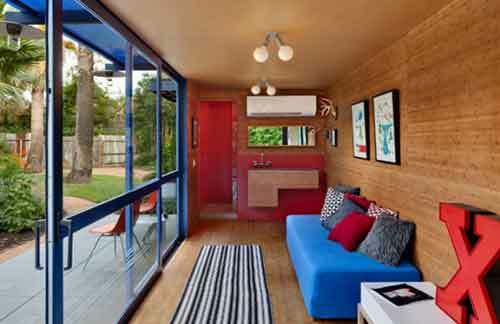 Our container hotels are manufactured using Industrial grade ACP Materials and enhanced with lavish wooden finish. Their customizable features allow you to change their appearance without any massive investment. Our container hotels come in various shapes, sizes, layouts and space allocations, allow you to choose the right one as per your necessity. Whether you want to build a small cozy hotel or a 5-star luxury hotel, we can assist you with the right material within a short duration. Luxury plays an effective part to attract major crowds towards your hotel. Everyone like to experience the royalty and a jaw-dropping ambiance as soon as they land inside a hotel. At Saman Portable, our team of engineers and designers helps you with customizing a container hotel that exhibits the same features as a luxury hotel. Our pre-engineered containers offer interior decorators the independence to use their imagination. 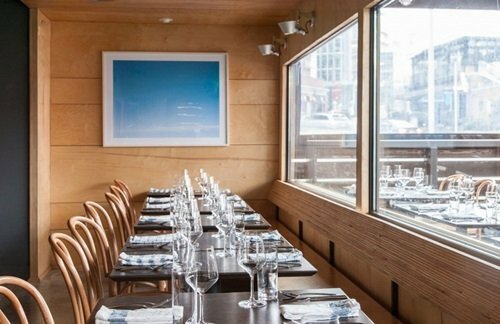 As the container hotel resembles the same as a traditional hotel, you don’t need to hire any exclusive interior designers nor pay any extensive cost. Most customers in India prefer traditional structures for their safety features. Whether it’s due to lack of awareness or a long-running myth, but pre-engineered structures possess the power to withstand the harsh Indian weather including natural calamities like flood, earthquake, and tornado. Contrary to traditional structures, manufacturers of prefab containers have to follow a more rigorous safety protocol, which makes them considerably safer. We at SAMAN Portable follows a stringent quality-check procedure during procurement. The process involved a step-by-step analysis of the products through our procuring officers and only those products are available to our customers which pass the test. As a leading supplier of portable containers in India, we have established an effective partnership with all the major raw material provider and manufacturers across the country, which enables us to procure quality products at a lower price. As a result, we are able to provide premium quality products to our customers at a lower margin than our competitors. Besides, the cost of developing a traditional brick & mortar hotel is significantly higher than installing a prefab container hotel. Plus, if you add the operational cost associated with traditional buildings, you can imagine the unfathomable hassle a business has to endure. Our cost-effective container hotel provides an equal opportunity to all clients who want to set their journey in the evergreen hospitality sector. With years of experience in the respected field, we acquired the skills and technology to develop high-end prefab structure at a rapid scale without any quality compromise. Our pre-manufactured structures help us to offer a budget-friendly option for our customers by eliminating the cost associated with traditional buildings. 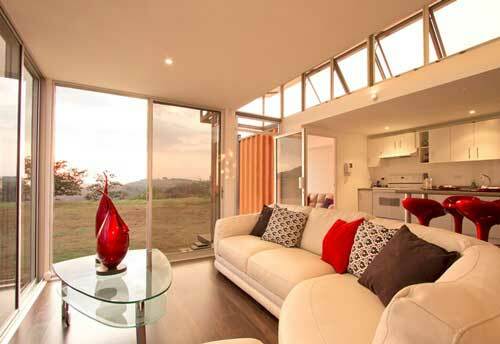 Our prefab container hotel is easy to install, transportable, lighter in weight and extremely durable. Installing a fully developed container hotel requires only a few days while in traditional buildings, it may take up to years. Our modular container hotel comes with pre-modified structures, which only requires assembling rather than building from scratch. You can suggest us your requirement and we will manufacture them and have them delivered to you within your required time. We can have them customized for installing air-conditioning vents, heater, chandelier, etc. Our containers come with smooth wooden finish, which gives them an elegant and sophisticated outlook. It’s not just the structure development that cost your business a fortune, but also the high-maintenance charges you incur on a periodical basis. Our container hotel from SAMAN Portable are quite durable and are efficiently engineered to withstand regular wear and tear. 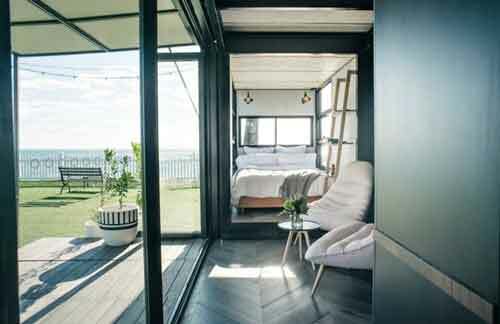 Compared to traditional structure, our container hotels are manufactured to retain their natural sheen and goes a long time without any significant maintenance. Our customized pre-engineered container hotels are easier to install and dismantle. You don’t need to follow a critical technical, legal and cost-inducing procedure that involves in a traditional renovation. You can add or dismantle extra space from the existing structure and modify them as per your needs. 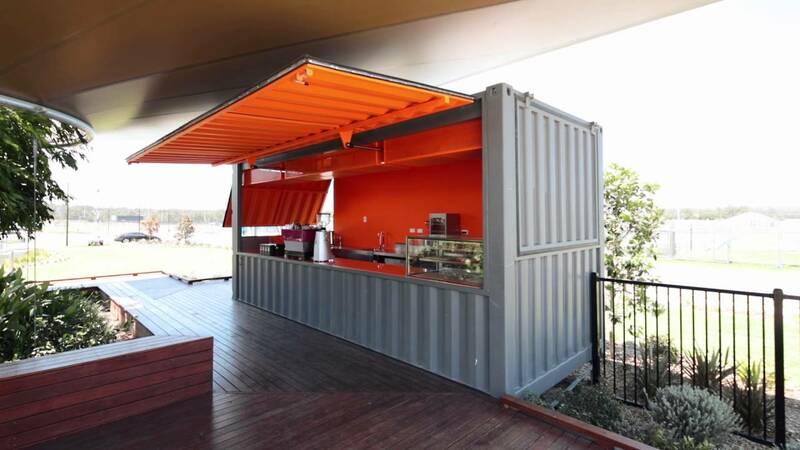 This feature of our container hotel comes at a great help during your business expansion phase. 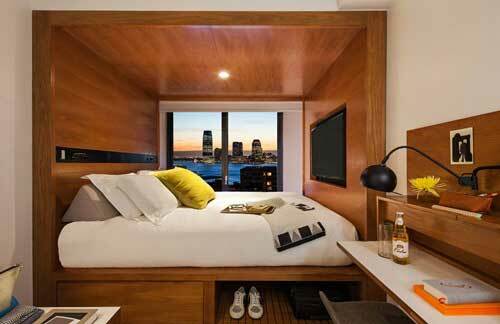 If you are looking for availing a Premium Container hotel, then send us an inquiry through an email or give us a call. Our customer care assistant will be happy to assist you and guide you through the process.